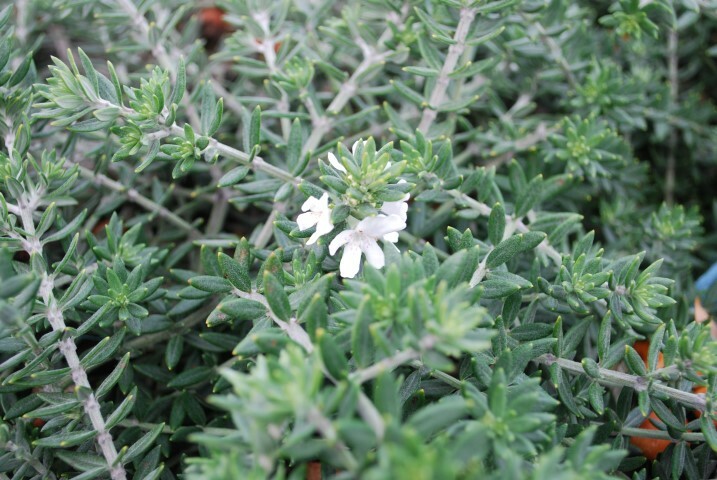 Attractive ground cover with small, silver-grey leaves that are tightly packed on the stems. 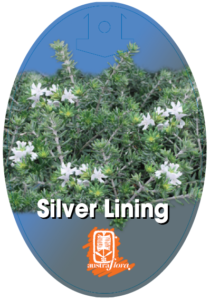 White flowers appear in winter and spring. 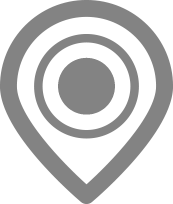 Suited to temperate climates and most well-drained sandy, loam or clay soils. Tolerant of dry conditions, sea spray and wind. Useful as a tough spreading ground cover as it responds well to pruning. Feed with a low phosphorus native fertiliser.